GP-24S: 10dBi gain, broad elevation pattern. 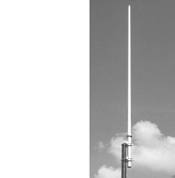 Provides coverage to areas physically located above and below the antenna height. Although the coverage range is not as far as the higher gain versions, it provides coverage to areas below and above the antenna installation height. GP-24R: 12dBi gain, narrow elevation pattern. Provides the greatest possible coverage area. The pattern is fairly narrow, but is directed to the horizon for greatest range/distance. 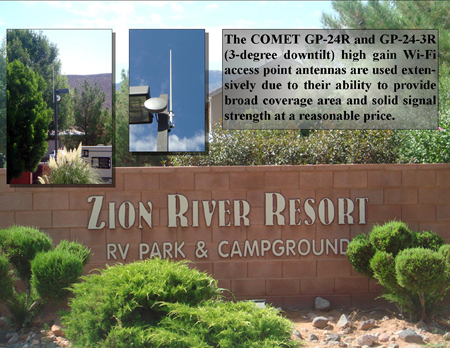 GP-24-3R: 12dBi gain, 3-degree elevation downtilt. 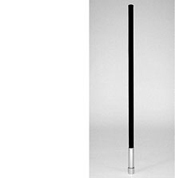 The best selling high-gain access point antenna. 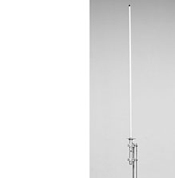 The 3deg downtilt concentrates the signal and receive sensitivity to areas at and below the antenna height. Construction: Black fiberglass radome, internal O-rings at the top and bottom prevent moisture intrusion. Construction: White fiberglass radome, internal O-rings at the top and bottom prevent moisture intrusion. 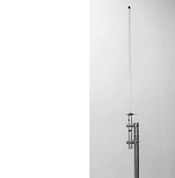 Specially designed for use where the antenna will be attached in the inverted position. The uptilt becomes downtilt, saturating the area below and around the antenna for maximum signal strength and coverage area. 10 degree electrical downtilt directs the radiation pattern to increase the signal strength and coverage area below the antenna height.